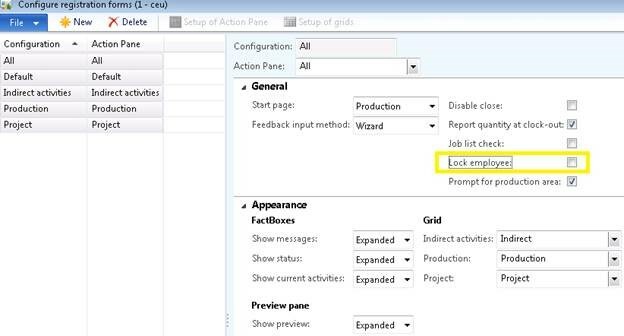 When registering time via manufacturing execution/time registration for a job, different time entries (start and end time sum up to 0.01) are calculated on the route card journal when the “Lock employee”-parameter is enabled. 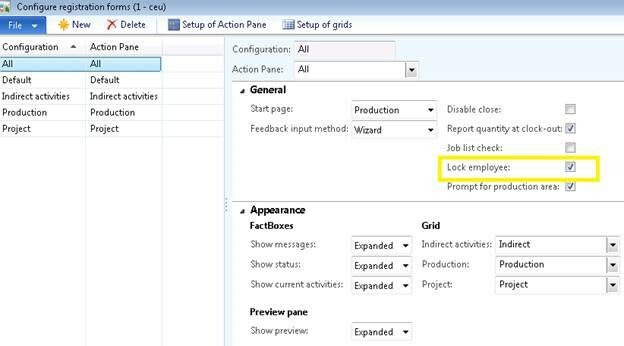 How does the “Lock employee”-parameter work? The cause behind this issue can be found when looking into how the “Lock employee”-parameter works. Development provided the following full investigation information and concluded that a correction to this is not feasible, as any correction to the current code would make this parameter function in the same way for both options enabled’ and “Disabled”. It was found that if the parameter “Lock employee” is enabled, then we get the stated issue, whereas if it is disabled, we will get the expected results. Finally the start times/end times are correctly updated. So we at the end get the expected results. The code will then have updated the start/end job time with i.e the system time. Then the code will fall into this.makeRegistrationsProd() before falling into \Classes\JmgJobBundle\postTime which is called from \Classes\JmgJobBundle\makeRegistrations and after, code will fall into \Classes\JmgPostStandardSystem\postTime which is called from \Classes\JmgJobBundle\postTime. Finally, start time/end times are updated with the same time. In the end, we are indeed getting the wrong times calculated when the “Lock employee”-parameter is enabled. If the parameter “Lock employee” is disabled, we will get the correct behaviour. Then both options for the “Lock employee”-parameter (disabled and enabled) would trigger the same behaviour.